Welcome Pure Flo Water Company to the DS Services' Family of Brands! Hello, we're glad you joined us. One of the nation's leading operators in the U.S. Home and Office Beverage Delivery market, DS Services of America, Inc. offers our million plus customers bottled water, water filtration and coffee and tea services via a full portfolio of great American brands. DS Services, also a Top 5 Office Coffee Service Company and Top 5 Water Filtration Services provider in the United States, has acquired an impressive assortment of regional brands that include Alhambra®, Belmont Springs®, Crystal Springs®, Deep Rock®, Hinckley Springs®, Kentwood Springs®, Mount Olympus®, Sierra Springs® and Sparkletts®. National brands under the DS Services umbrella include cause-related Athena® water, Nursery® water, a leading bottled water for babies and toddlers, Standard Coffee® and Relyant®. 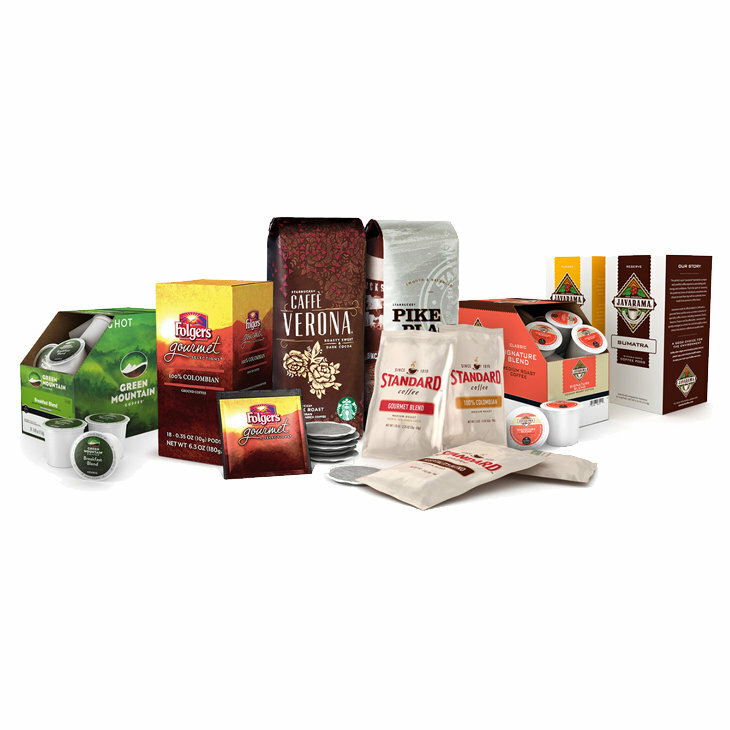 The coffee brands you love, ready when you choose. With DS Services® coffee delivery service, you'll always have a reliable source for breakroom amenities — no matter the size or needs of your office. With our assortment of beverage equipment, coffees, teas, bottled water, cups, sweeteners, creamers and more, you can make this a go-to spot throughout the day. And that means more satisfaction and productivity from everyone during the daily 9–5. The importance an amenity program like coffee service can have on employee happiness and well-being is immeasurable. Let DS Services® coffee delivery service take the stress out of managing your coffee program. We know coffee service isn't a one-size-fits-all approach. Maybe cost is a factor? Maybe it's product variety and menu options? We'll provide the right solution with a few simple questions and will give plenty of great suggestions. Who is DS Services®? 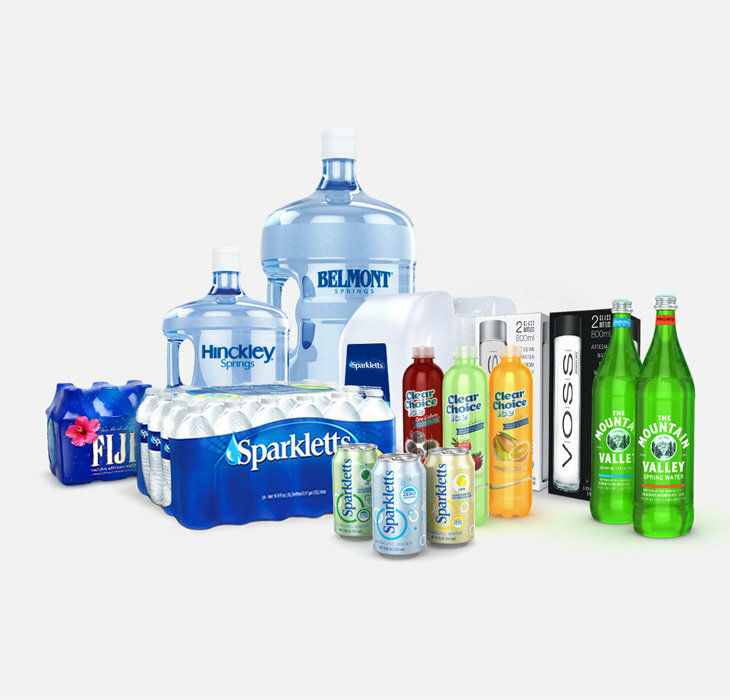 DS Services® is a route based service company with a leading volume-based national presence in the American home and office bottled water delivery industry. Our platform reaches over 2.3 million customers or delivery points across North America and Europe supported by strategically located sales and distribution facilities and fleet. What phone number should I call when I need support on my account? You should continue to call 1-800-787-3356 for all of your support needs. For your convenience beginning July 2nd, we will be expanding our call center hours to 8 AM &dash; 9 PM EST Monday through Friday and 9 AM &dash; 6 PM EST Saturday at 1-800-787-3356. Will there be any changes to my billing/invoicing from what I received from Pure Flo Water Company? In an effort to provide you with consistent billing from period to period, we use 28-day billing cycles. This means you will receive a bill approximately every 28 days. In order to make it easier for you to read and understand the format of our bills please click here for an example of our invoice and detailed explanations. Do you have a different structure for pricing and service fees? Please note that there will be no changes to your product or rental pricing during this transition; however, bottle deposits, a variable energy surcharge and late fees may apply. How should I pay my bill? There are a variety of payment options available for you just as with Pure Flo Water Company. If you are currently enrolled in autopay using your credit card and e-invoice with Pure Flo Water Company, this will continue. If you would like to simplify your bill-paying routine with our electronic invoice (e-Invoice), you can do so starting on July 2, 2018 by accessing www.water.com/myaccount. Switching to paperless billing is convenient, environmentally friendly and will save you money as we charge a $3.00 fee for each paper statement we mail. You can change your payment methods online or by calling the customer care center at 1-800-787-3356. • View, print and change your delivery schedule. • View your preferred products and see our other product offerings. • Find frequently asked questions and access customer service. • Sign up for e-Invoice. How do I set-up an online account? You can register your account on www.water.com/myaccount using your customer number which you will find on your first invoice from DS Services in early July. Beginning July 2nd, you can also call the customer care center at 1-800-787-3356 to obtain your customer number. Will any of the brands change? You will continue to receive your favorite Pure Flo Water in the ½ gallon bottles as well as many other popular brands for all your water, coffee, and filtration needs. • Attractive water cooler dispensers, including our easy to load Storm cooler. • State-of-the-art water filtration systems. • Well-known brands such as Voss®, FIJI Water®, AriZona® Iced Tea and Crystal Light® On The Go to help keep you refreshed year round! When will my bottled water be delivered? Your bottled water will be delivered regularly, according to the schedule your route sales representative provides. You also can view and print your delivery schedule online. This schedule highlights delivery days so you always will know when you will receive your delivery. If your delivery days are to change you will be notified in advance. Can I change my delivery day? In order to provide the exceptional service you expect our delivery system is set up to serve specific geographic areas on certain days. Please discuss special delivery needs with your route sales representative. Will there be any changes to my delivery service? We will continue to provide delivery service in the way in which you have come to expect. If you require any changes to quantities, products delivered, delivery instructions, or otherwise please update your order online, leave a note for your route sales representative, send an email to customerservice@dsservices.com or call us at 1-800-787-3356. How do I contact my route sales representative? You can reach your route sales representative by leaving a note on the day of your delivery. If your timing is more urgent, please send an email message to customerservice@dsservices.com, which will be forwarded to your route sales representative or call customer service at 1-800-787-3356. When is my payment due? Payment is due by the Payment Due Date listed on your invoice. Late charges will apply as noted on the payment stub at the bottom right corner of the invoice.